Last week we discussed SMO, Social Media Optimization, and touched on the need for SEO in your business as well. Missed the SMO blog post? No worries – click here! To make and keep your business visible, SEO is the other half of the “feed the Google Beast” pie! Let’s dive in! What exactly IS SEO in the first place? Take a look at ALL your URLs. Your blog posts, your page titles, your Facebook page name, your LinkedIn profile link etc. All of these should be actual words, clearly stating what that page, profile, or post is about, or in the case of a profile be as close to your name or business name as you can get that makes sense. Google sees that and it makes them happy that you are a legitimate business person who is staking a claim to your own piece of internet real estate. Find out what your prospects are searching for. First just brainstorm, ask friends, sit at your computer thinking: “What the heck would I type in if I was looking for Me/My Service/My product?” Keep a running list handy of whatever comes up. I keep a journal just for keywords because they change as my business changes. From that list pick your top 5-10 best performing search terms. These will now be the keywords that you will use when and where you can: blog posts, web page content, page titles, etc. These may change from time to time, and just like everything else should not be neglected so check back with new terms to search and update your keyword list on a regular basis. Be sure to use these same keywords across all of your sites, social media, whatever. Review these monthly! You want to be sure you’re using keywords very specifically for what you’re currently promoting. Keeping that keyword journal makes that really easy. So that just about covers the basics of SMO and SEO 101. I know this is a lot of information to digest, but with a few of the steps listed above you can start to get a good handle on this very important corner of the online world. Your business deserves to be seen and it is my passion to help you make it so. Comment below and let me know what your favorite keyword tools are, I know there are more! Good luck my amazing entrepreneurs and I can’t wait to hear how the traffic comes rolling on in! I’m just going to be frank here and say that you are priceless. 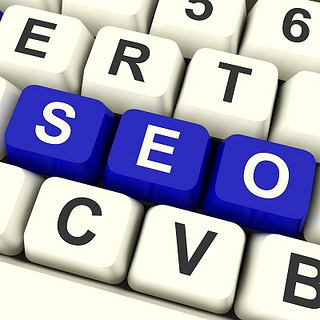 So few people are able to clearly explain what SEO is about that they end up saying, “oh…it’s not THAT IMPOTANT”! (I have actually been told this more than once). Thank you for for your precise explanation of what SEO is. Keep up the OUTSTANDING work Karen. P.s. Just listened to podcast 41. MINDBLOWER.